It's impossible to keep a secret these days—especially when someone like Anne-Caroline Chausson rides the ‘secret’ in question to the top of the podium during the Enduro World Series. 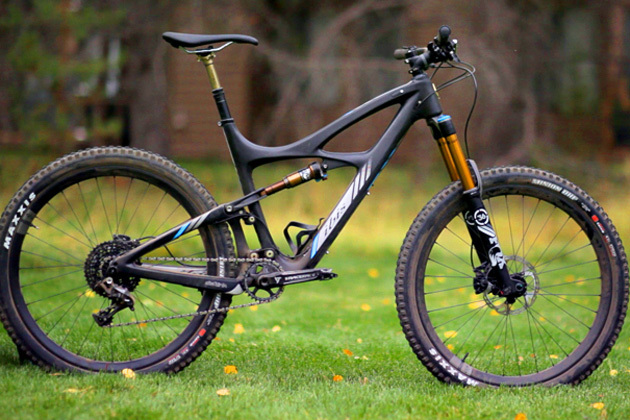 Yep, the Internet has been buzzing for months with speculation about a new Ibis Mojo. Well, today that cat is officially out of the bag and it's called the Mojo HD3. This is the third-generation Mojo HD; it's lighter, slacker, longer and lower than any of the past HD and HDR models. It's also a contender for the title of best all-around enduro/all-mountain bike. How do we know? We've been riding the Ibis Mojo HD3 for awhile now. Here's the story. 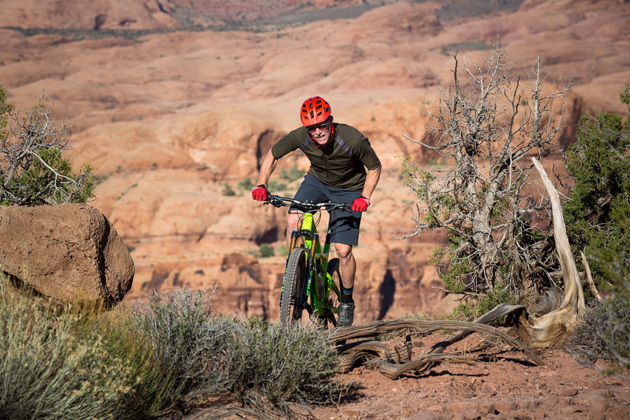 Ibis released the first HD model in 2009 and it was a revelation—you could ride it stock with 6.3 inches (160 millimeters) of travel front and rear, or you could shorten the suspension and run it as a trail bike on `roids. Or you could go the other way and slap a 180-millimeter-travel fork up front and head to the bike park. Then along came the 650b wheel. Ibis responded in 2013 with the HDR—a slightly lighter, stronger and stiffer version of the HD that came in both 650b and 26er-wheeled versions (you could swap between the two wheel sizes with minimal fuss). When you went with the `tweener wheel size, however, you lost an inch of squish out back. 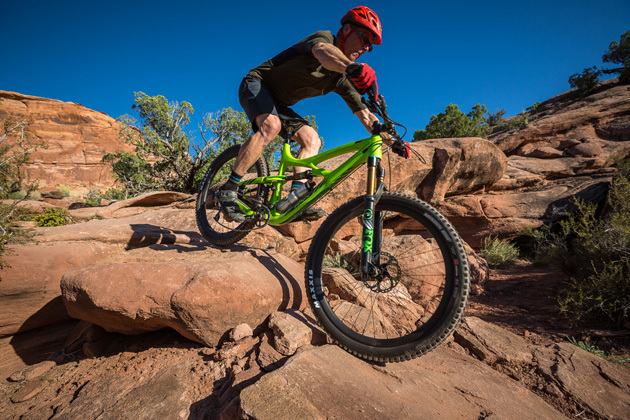 This third-generation Mojo HD rocks 650b wheels and features six inches (150 millimeters) of travel front and rear. But it's not just a matter of adding an inch back to the equation—this is an entirely different frame. "This is a ground-up redesign," explains Ibis founder, Scot Nicol. "The redesign allowed us to give the bike a fully modern, longer, lower, slacker, geometry, 6 inches of travel, and a bunch of other details, like a water bottle cage on top of the downtube, versatile internal cable routing, a drop in weight, and pedaling performance on par with the Ripley (Ibis’ 5-inch-travel 29er)." The third-generation Mojo HD frame gets all sorts of tweaks, including a new version of the DW-link suspension design. All mountain…enduro…regardless of which term you use to describe a lightweight, 6-inch-travel bike, there's no denying that these bikes are getting more downhill-oriented with each passing year. Head angles are relaxing, bottom brackets are dropping, toptubes are getting longer, stems are going stubby. The idea is to give riders the kind of confident, centered feel on a bike that helps reduce the sketch factor of riding something steep at mach chicken. Enduro racing has pushed that evolution further, thanks to a growing number of races that feature descents as fierce as anything you'd find on a World Cup downhill course. Well, the new Mojo HD gets some of those tweaks. The toptube, for instance, has grown on each frame size. A large Mojo HD, for instance, now has a 24.4-inch toptube (up from 23.8 inches). Ibis also improved the standover clearance—there's about an extra inch of wiggle room between the toptube and your privates. In a nod toward improving the bike's climbing abilities, Ibis steepened the seattube angle 2 degrees (from 71.1 to 73.1 degrees). "The longer, lower geometry and 650B wheels make the new HD a capable descender. 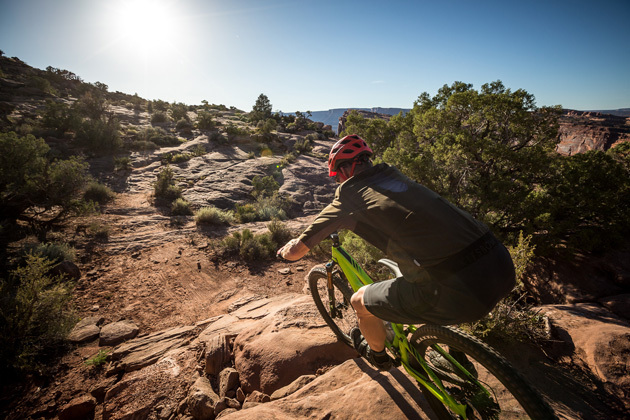 The steeper seat angle and pedaling performance keep it snappy and fun," explains Nicol. Ibis, however, hasn't gone particularly slack on the headtube angle. While we're testing a lot of bikes with 65- and 65.5-degree headtubes, the new Mojo HD rocks a 67-degree headtube angle when matched with the stock 150-millimeter travel RockShox Pike fork. If you go with the optional Fox 36 fork upgrade, the head angle slackens to 66.6 degrees. There's a reason Ibis isn't going mano-a-mano with a lot of other companies in the head angle department. “We wanted a bike that was confidence-inspiring downhill, but didn't feel sluggish everywhere else," says Nicol. "And, yes, that's a bit of a jab at the too-slack bikes that are popular these days. This new bike is your do-everything, long-travel mountain bike. We would rather build a bike that's better balanced between fun trail riding, climbing and descending." The 26er Mojo HD and HDR boasted 160 millimeters of travel. Why did Ibis settle on 150-milliters of travel this time around? "We think 6 inches of travel will be good for most people’s riding needs. We felt it struck the best balance for a climbable enduro-style bike," explains Nicol. "Variable leverage rates and shock tunes can make a 6-inch travel bike feel like it has 7 inches or the other way around. Since DW-link bikes tend to sit high in the travel and have a very linear feel to them, it makes the available travel feel very useable. We can also keep the bottom bracket height lower this way, and we like what that does for the way this bike performs." Ibis has collaborated with suspension designer, Dave Weagle, since the 2005 debut of the Mojo. The new Mojo HD3 gets Weagle’s latest version, which features lighter linkage paired with an even more robust bearing assembly. As with the Ripley, the new Mojo HD3 uses a clevis, which frees up space in the front triangle for a water bottle. From an aesthetic standpoint, the new Mojo HD seems a bit of a hybrid of the HDR and the Ripley. The core HD design, however, remains largely the same: Dave Weagle's DW-link suspension is what makes the thing tick. "The DW-link was great when it first came out," says Nicol. "and it continues to get better and better. 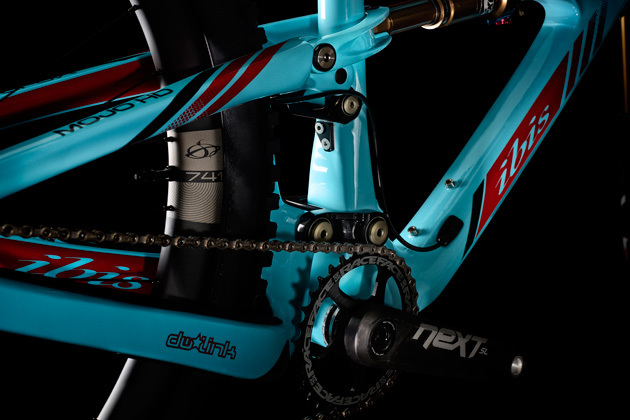 This bike features the most advanced DW-link on the planet, what Dave is calling V5. Through years of refinements we’ve arrived at a point where pedaling performance has been decoupled from travel. A 5-inch travel bike, for instance, does not automatically pedal better than a 6-inch travel bike. You can have a plush 6-inch frame, not touch the lock out lever, and the bike will not bob. That makes this bike extremely versatile." The Mojo HD3 comes stock with a 150-millimeter RockShox Pike. Ibis, however, also offers the bike with a Fox 36. Can’t really go wrong either way. You're looking at $2,900 for the HD3 frame and a Fox Float Kashima Coat CTD Adjust shock—that's a $200 price increase over the HDR it replaces. Then, again, this thing gets a lot of upgrades over the previous model. 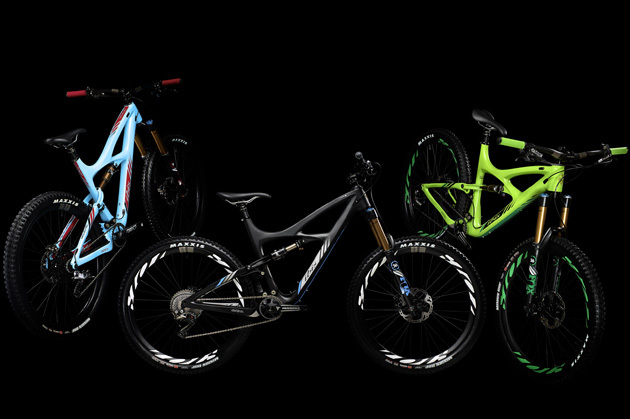 Ibis also offers the HD3 frame hung with no fewer than nine different build kits, ranging from the $3,950 Special Blend version to the $9,200 XTR 2X edition. Both Shimanofiles and fans of SRAM will find a group to their liking somewhere in the mix–there are two XT groups, two X01 groups, an XX1 group and three XTR groups. You're spoiled for choice here. Ibis also offers the HD3 with a Fox 36 fork and Cane Creek InLine rear shock upgrade. That's it for the big picture, though it's also worth noting that the new Mojo HD3 is equipped with a threaded 68-millimeter bottom bracket shell with ISCG capability (courtesy of a removable adapter). No press-fit bottom bracket? God bless them. You’ll notice that we’re using Ibis’ stock images here. What gives? 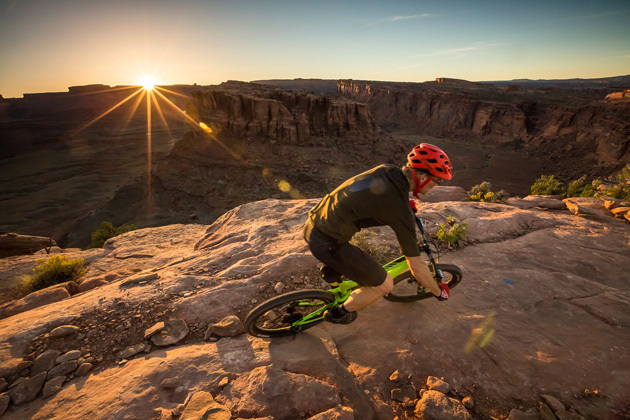 We, after all, tested the Mojo HD3 in Bend, Oregon (not Moab). The Ibis-supplied photos are way better than the screen grabs from our video. So there. We spent a couple weeks testing the new Ibis on the trails around Bend, Oregon. We're not going to give up the entire goods on the new bike—you'll have to wait for upcoming Bible of Bike Tests issue for the full write-up and our video roundtable review of the bike—but we can say this: It's an extremely well-balanced bike. A lot of enduro/all-mountain bikes are morphing into mini-downhill sleds. We're not slagging that trend at all; those bikes are a ton of fun. It's hard to argue with a 27-pound bike that can handle anything from a mellow singletrack to a jump line at a bike park. That said, there are also a lot of riders out there who aren't actually keen on racing enduro or tackling the fiercest descents…riders who might prefer a bike that requires less manhandling on steep and tight climbs. The Mojo HD3 is a good match for that rider. It's still a very capable descender, but you don't have to turn the pedals for long before you realize that, yeah, this is more of a burly all-rounder than a downhill bike on a diet. The new Mojo HD is an efficient climber—I ran this thing up our seriously steep test loop in ‘Descend’ mode and it still scooted up that sucker as well as some of our cross-country test rigs. No, I'm not exaggerating. What's more, the HD3 exhibits little of the front-end flop you sometimes experience on bikes with slacker headtubes. How'd the new Mojo HD compare with some of the other hitters, such as the Giant Reign, Specialized Enduro or Yeti SB6C? For that, you need to stay tuned for the Bible of Bike Tests, which hits the streets the first week of January. In the meantime, you can swing over to Ibis for a bit more info on the Mojo HD3. As for availability, Ibis plans on shipping a large batch of the new bikes to retailers and distributors around the world as early as December and a few bikes are already making their way into demo fleets. 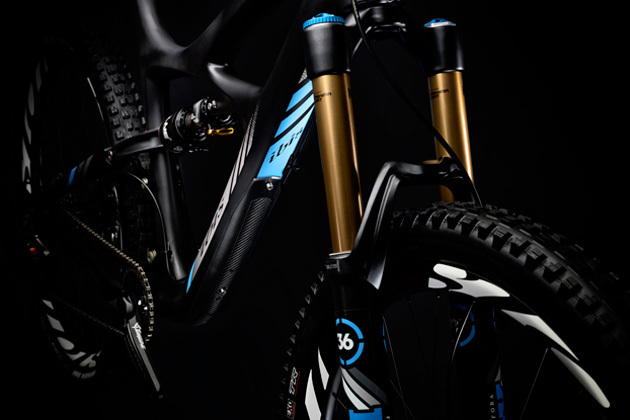 Bible of Bike Tests issue, which hits the streets during the first week of January.” width=”630″ height=”420″ class=”size-full wp-image-91801″ /> Here’s our test bike, which we ran alongside the likes of the Yeti SB6C, the Specialized Enduro and the Giant Reign. How’d it fare? Check out the 2015 Bible of Bike Tests issue, which hits the streets during the first week of January.